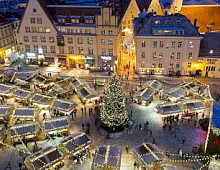 In an effort to drum up awareness for its turn at the international spotlight, the city of Riga has released details on its year-long calendar as Europe’s designated Capital of Culture next year which will include a human book chain made up of 25,000 people and a carnival of choirs. The programm will kick off with a celebration dedicated to the 500th anniversary of the printed book. In January, for example, a human chain of 25,000 volunteers will transfer books, hand to hand, from the old to the new Latvian National Library, the Gaismas pils, which is still under construction. The venue will also host an opera performance of "Rienzi" by Richard Wagner, who called the city home for two years. In July, as the Capital of Culture, Riga will also host the World Choir Games which will see 20,000 singers descend on the city to sing in an open-air, gala concert in front of the opera house in July. And in November, international lighting artists will set the city ablaze at the Staro Riga festival of lights. 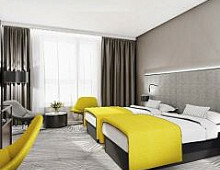 Recently, in Hotels.com’s annual Hotel Price Index report, Riga came out just behind Vilnius, Lithuania as the second best value city break destination in Europe for its modest hotel prices. 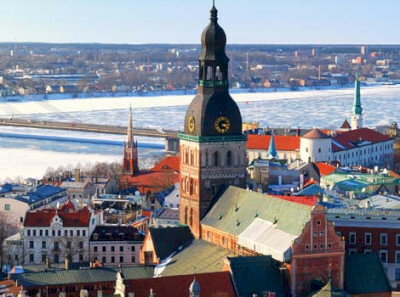 Meanwhile, the Latvian capital will share the spotlight next year with Umeå, the largest city in northern Sweden where the sun shines nearly 24 hours a day during the summer, and goes into hibernation during the Nordic winters. More than 50 languages are spoken in the university town, which itself is one of the Sweden’s fastest growing cities.